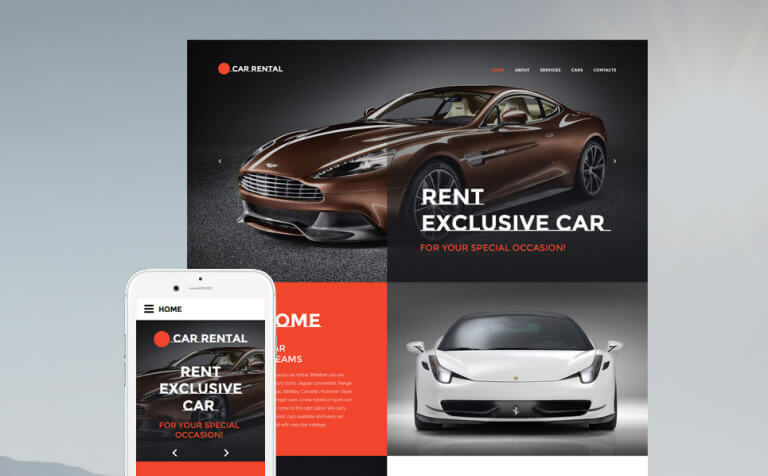 Highly responsive Vehicle HTML Website Templates are considered to be the satisfactory website format for any form of car sellers, car rental service or repairing, vehicle easy provider, automobile magazine and extra related to car services. 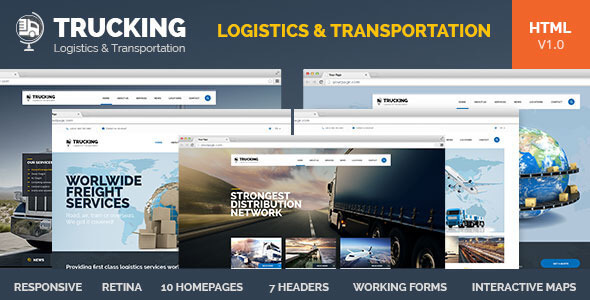 Limo is a fully responsive and well documented Transportation Site Template. Its unique features provide benefits for both you and your clients. Thanks to Bootstrap 4, visitors can open your site on any device they have in hand. 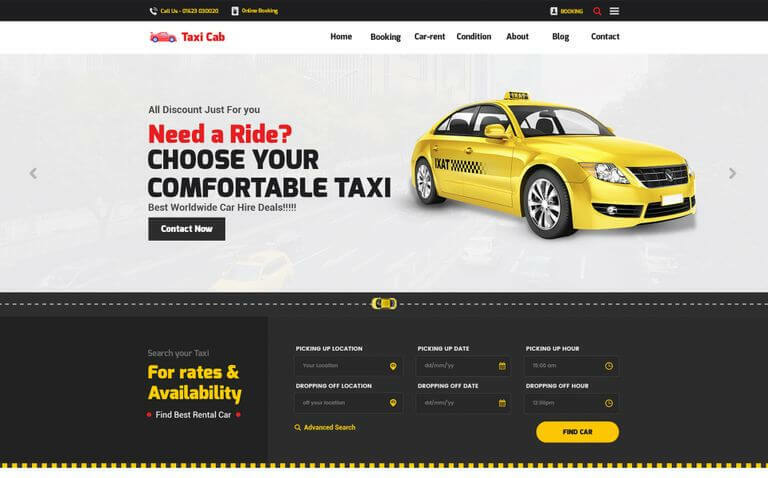 CarRent is an awesome modern HTML5-template created especially for Taxi, Ambulance, Boat, Transport and other vehicle rent or sells service companies. The templates design is SEO optimized and fully responsive, so that looks great on all devices. 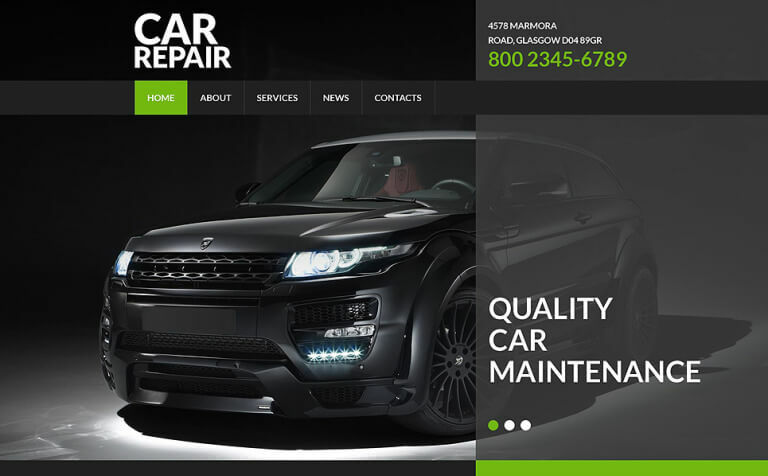 Car Repair is a well-documented and fully responsive Auto Repair Web Template, manufactured for car services websites. 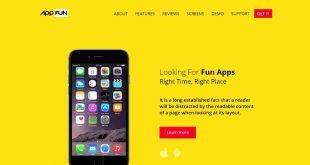 Your customers will adore your easy-use auto website with Stick-To-Top Menu that provides them for comfortable navigation even while scrolling down the page, Ajax Search that allows getting speedy search results by mean of a keyword, and a Contact Form that helps your customers to reach you in one click. 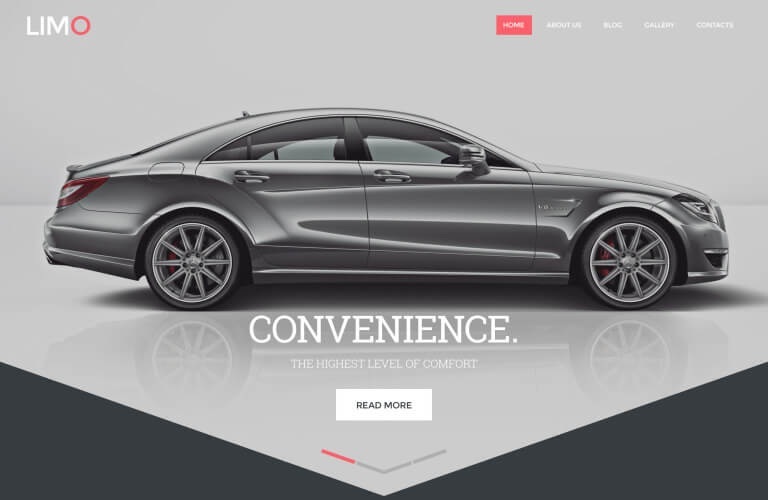 Check out a dynamic and visually rich website template for a car company. 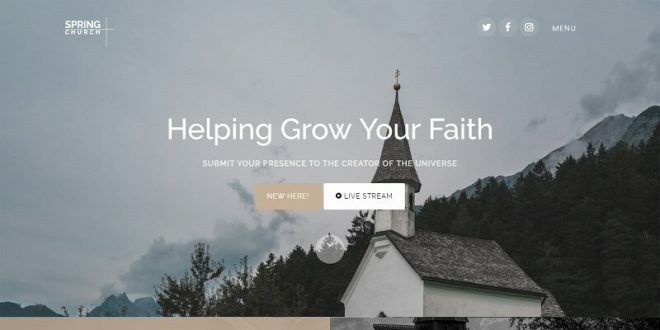 Its intro block is composed of full-screen slides to engage visitors with your content. You can also show off your autos in a gallery with a quick view option. 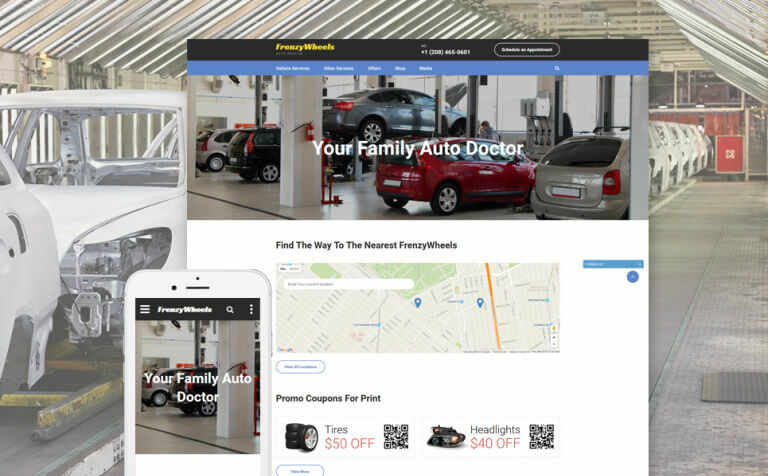 Frenzy Wheels is a responsive Auto Parts Website Template for all kinds of automotive websites. 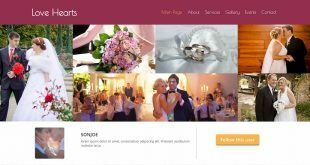 Its layout was optimized for business websites in the first place, but the abundance of additional pages and UI elements makes it possible to build a blog or an online store using this template as well. 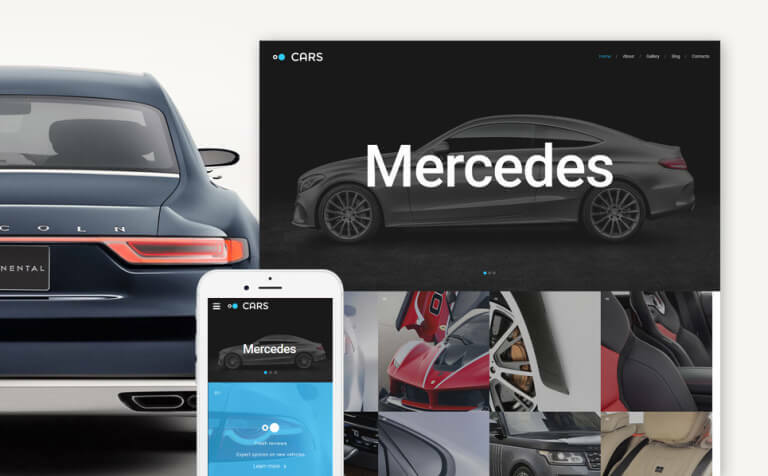 This car dealer web template is a mobile-ready solution compatible with modern-day browsers and built with HTML5, CSS3, SASS, jQuery, and semantic code. By means of a detailed search, customers can find the best auto for their individual requirements. 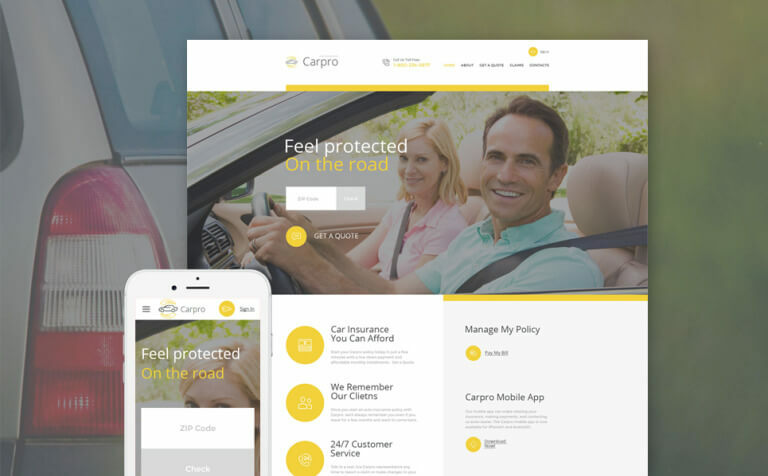 Carpro is a car insurance web template that is easy to install, manage, adapt to any niche and scale to different screen parameters. With slightly subdued images and negative space, your message will always stay in the spotlight. 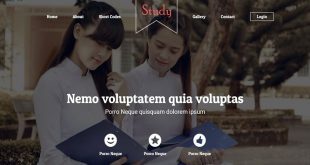 This up to date template will be a perfect fit for designing a professional corporate website with user-friendly navigation and an attractive look. 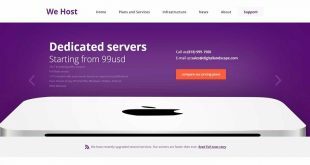 A clean code ensures fast loading speed and the splendid performance of the theme at the same time responsive design allows it to adapt to any screen resolution on the fly. 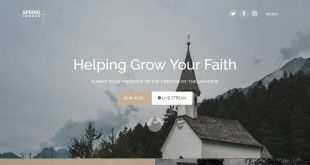 This theme can be used for building a professional blog of any kind. It offers quite an interesting design that will make your project look awesome. The template is also well organized, so the visitors will easily find the required information in the blink of an eye. 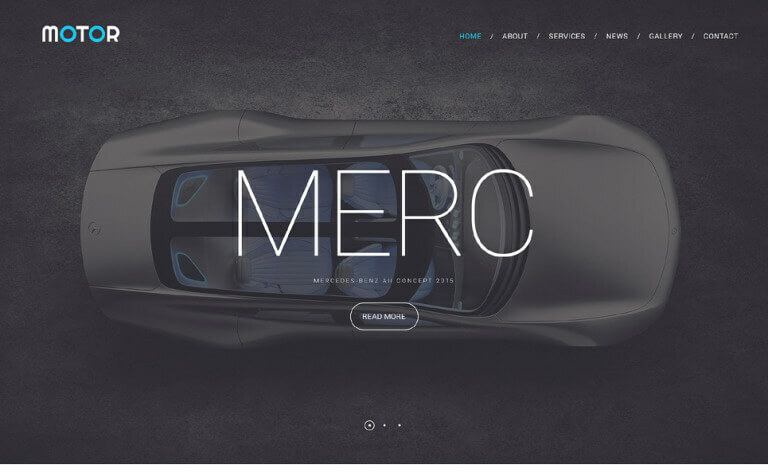 This car company web template provides a dramatic visual impact due to the smart utilization of large images throughout the layout. It starts with a page-wide slideshow followed by a filterable gallery designed in the mosaic style. 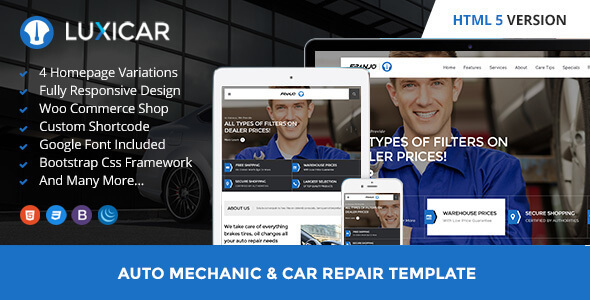 Have a look at this car repair web template. Its palette presents a spectacular contrast of black and red known as colors that radiate authority and strong motivation. 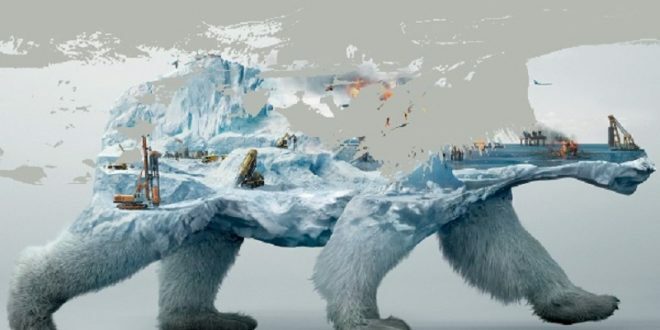 Such a powerful visual side of the theme is not inferior to its functionality. 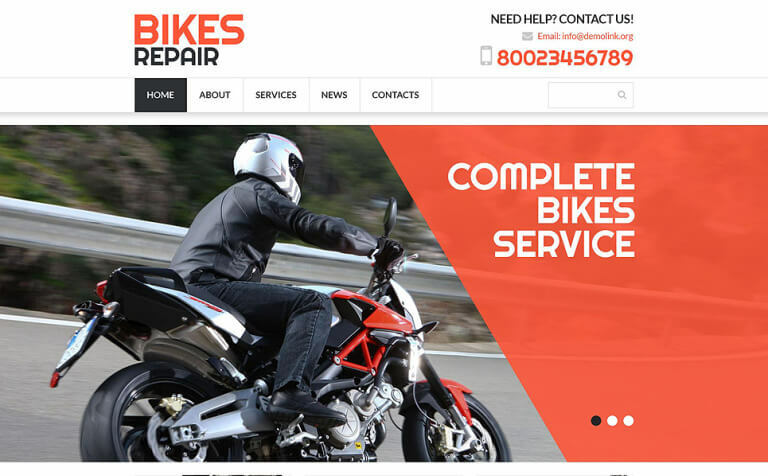 If you provide repair services, here’s a template to spread the word about your business on the web. 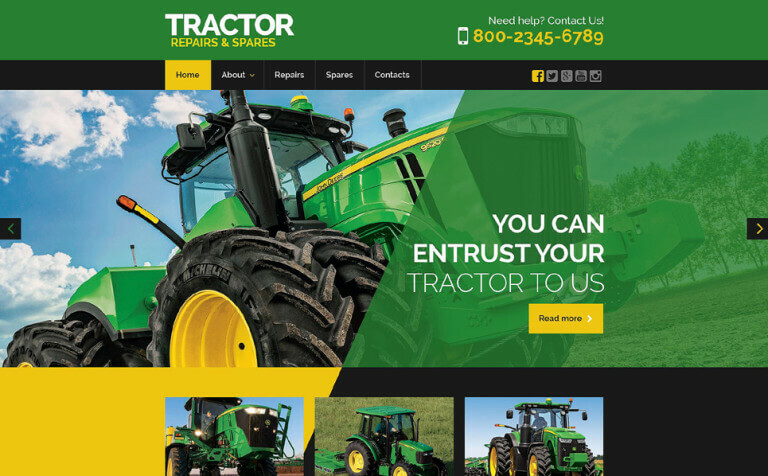 Due to its color-rich design, people who operate farming machinery will definitely pay attention to your company. A very impressive bike theme. What makes it so attractive? Of course cool bike images together with coral red elements of unusual shapes and large headlines. The effect is staggering. The website creates a powerful company image, which is not afraid to be different and draw public attention. 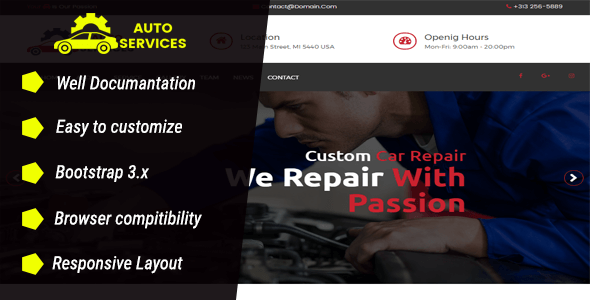 If you want to create a solid image for your car service and repair company, choose this template. Its dark background color and luxury car images in the slider are associated with high quality and professionalism. Transparent text blocks add style to the layout. Car images are present in every website section. Besides, car fans will be able to read valuable information on the topics they are interested in. The website is mainly dark with a few bright accents that perfectly draw users’ attention. 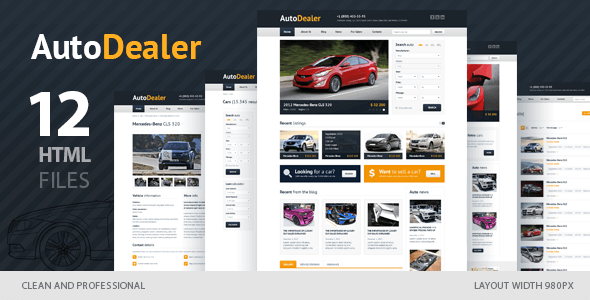 Auto Dealer (Vehicle/Car Dealer) is the HTML template developed especially for car sellers, dealers, and real estate companies. 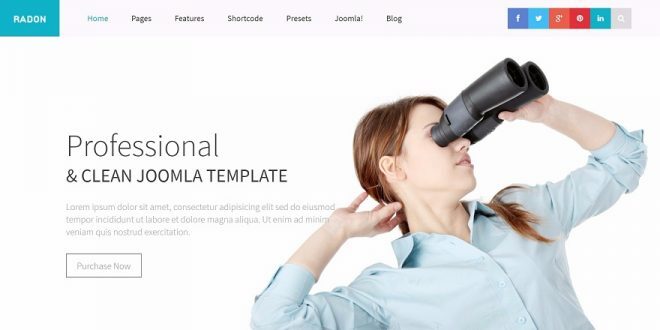 You can use this template for creating a website based on any framework and any language. 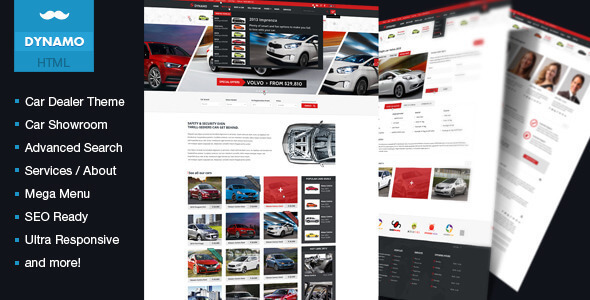 Dynamo (Vehicle/Car Dealer) is the HTML template developed especially to car sellers, dealers and real estate companies. Excellent for an online vehicle marketplace or an auto motor magazine or blog. 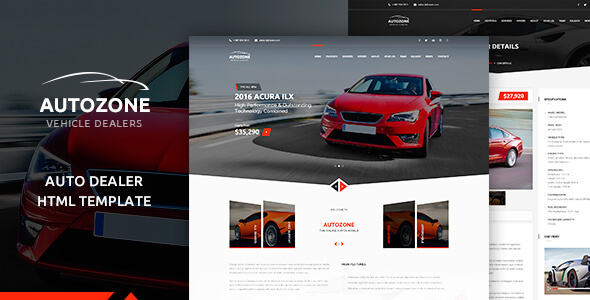 AUTOZONE is a creative, modern and multipurpose One-Page auto dealer HTML template suitable for car dealership websites and business or any corporate websites in this field. 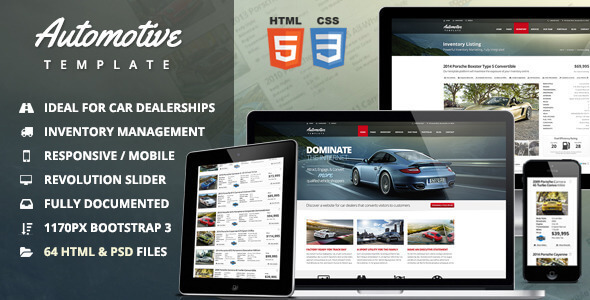 This HTML template also provides solutions to buy or sell cars online. 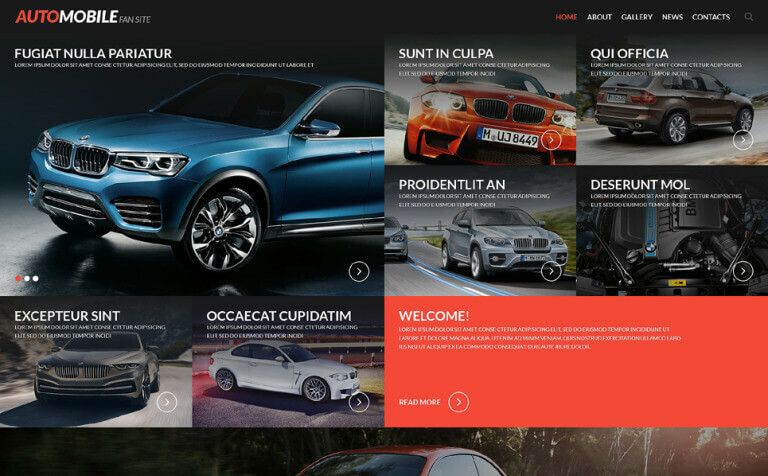 An automobile is a professional responsive template for the vehicle market. This template especially design for car sellers, dealers or auto motor retailers. 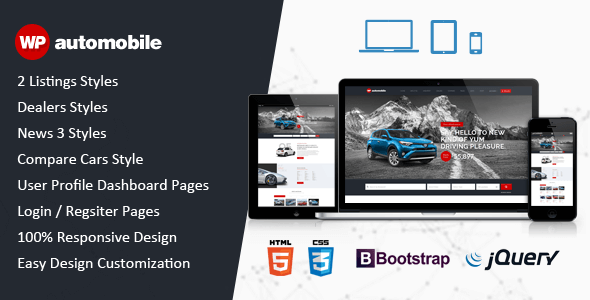 It includes all, whatever your business is small or large with the full car dealership functionality you have nothing more to do(HTML), it all includes in this package. 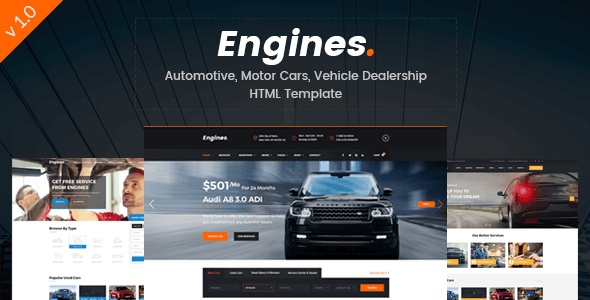 Engines – Automotive, Motor Cars, Vehicle Dealership Responsive Site Templates created especially for Car Dealer, Auto Dealer, Motor Dealer, Automotive website and any other automotive dealership business, who sell, buy, loan or lease vehicles via the website. 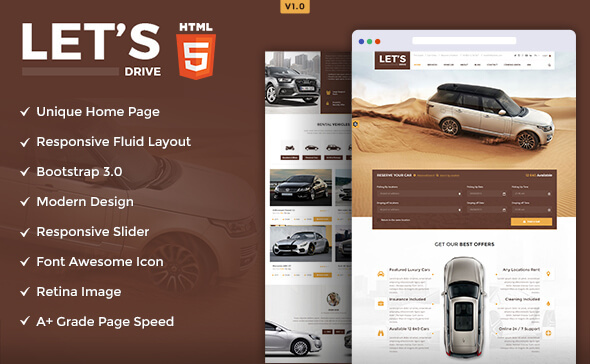 let’s Drive is a clean and modern designed Car/vehicle Rental HTML5 pure responsive template. This template is handcrafted for the automobile/can services owners who gives online services to book vehicle on Rent. If you provide repair services, here is the template for you. 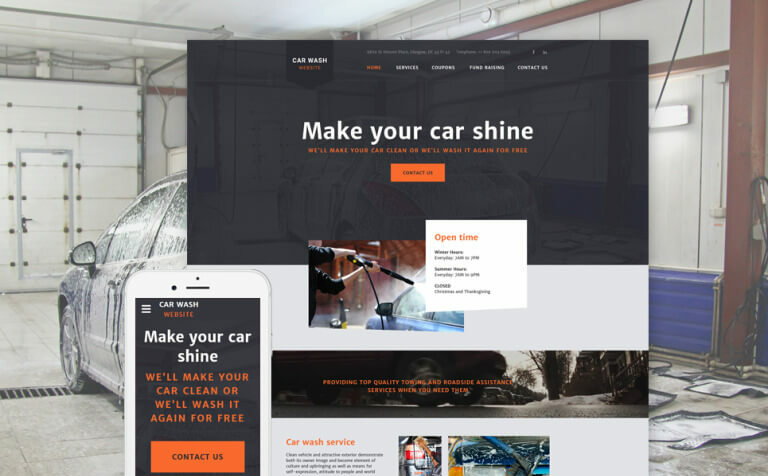 Luxicar is a clean, super responsive and versatile HTML Template crafted for Auto Mechanic, Car Repair Shops, Car Wash, Garages, Auto Painting, and other vehicles maintenance related websites. 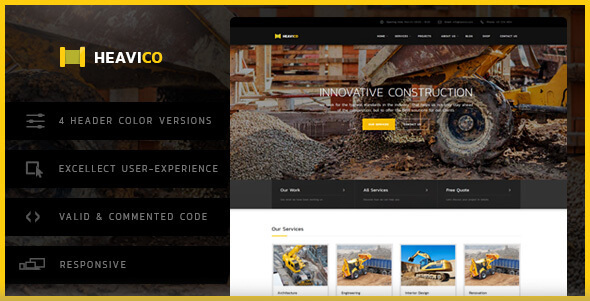 Heavico is a premium HTML template dedicated for Construction, Building and Industrial Businesses, Renovation Services, Architecture, Machinery and Mechanics Business, Handyman Services and other related businesses. 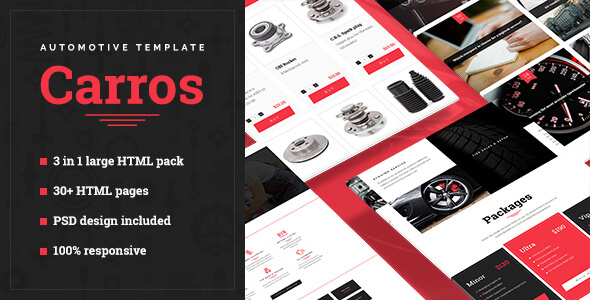 Carros — is a high quality 3 in 1 HTML5 template that is suitable for building automotive websites. 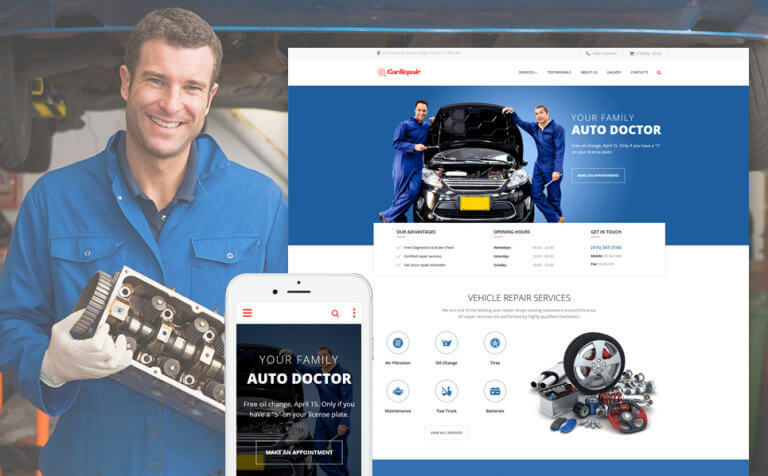 If your business is tied to car servicing, car workshops or you want to open own online parts store, Carros would be a great solution when you decide to build your brand-new corporate or e-commerce website. 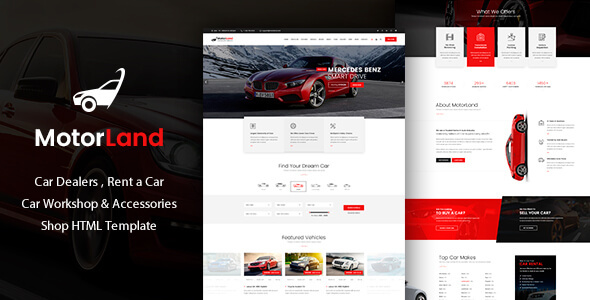 MOTORLAND is a Clean, Modern and Multipurpose Car Dealer, Car Renting, Car Workshop and Auto Accessories Shop Template Design suitable for any type of Vehicle Dealership websites and business or any corporate websites in this field. 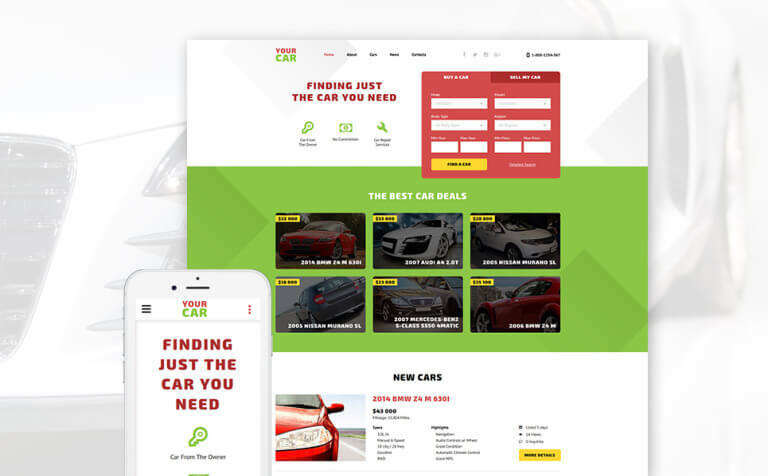 Car Dojo is the ultimate auto dealers marketplace and vehicles rental parks HTML/CSS UI Kit website template. 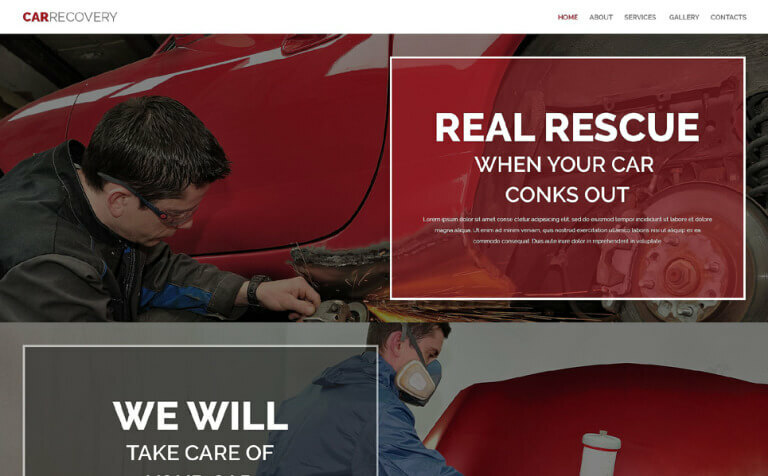 It’s a lot more than just a car dealer website theme. 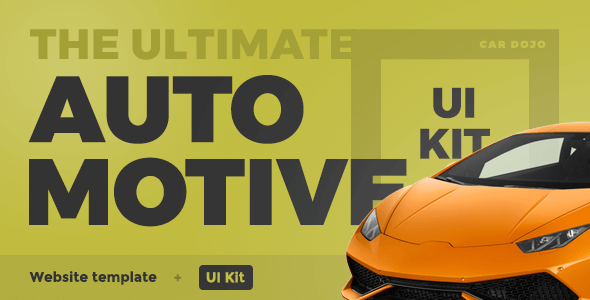 Auto Services is modern and good looking HTML5 template, perfect fit for car mechanic and auto mechanic. 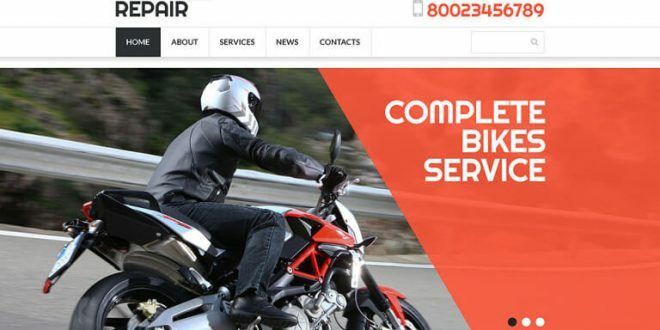 The Auto Care Template is built for Auto Mechanic, Car Repair Shops, Car Wash, Garages, Automobile Mechanicals, Mechanic Workshops, Auto Painting, Auto Centres and other Auto and Car related services and it is suitable for any kind of small business activity.